The indoor addition of the Market has started and runs every Saturday until April 27, 2019. 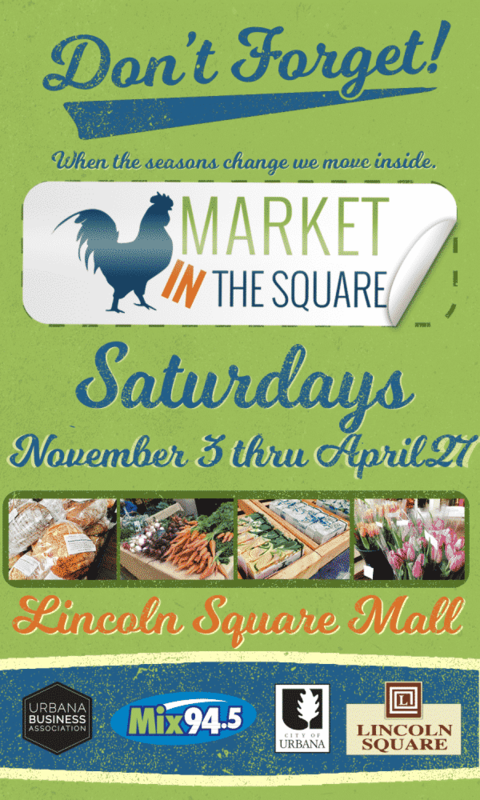 Come out and see some of your favorite Market at the Square produce growers and vendors plus meet new vendors as well. Market starts at 8am and runs until 1pm. 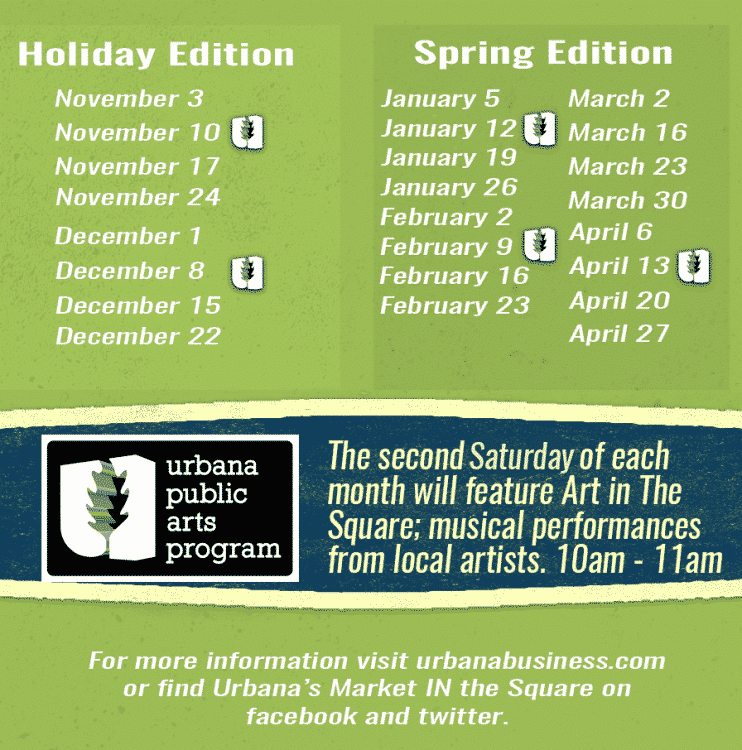 The Market IN the Square is managed by the Urbana Business Association – follow the link for more info on the indoor Market and the UBA.